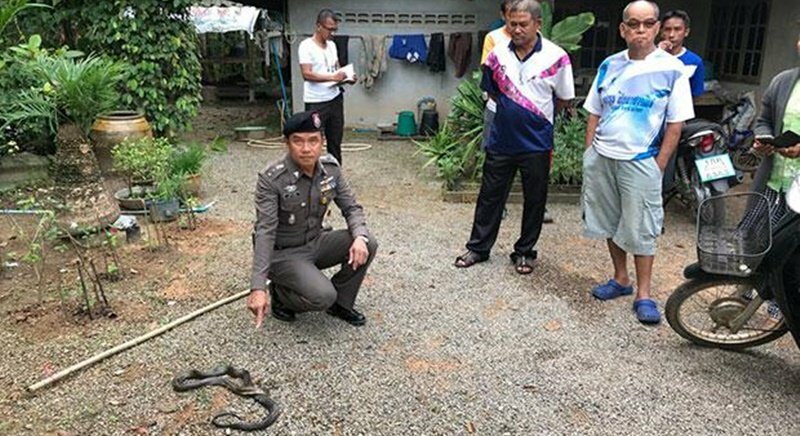 SURAT THANI: A nine-year-old girl was found dead in her bed this morning (Jan 3) after being bitten overnight by a cobra also discovered under the blanket. Prapawee Prawat was found dead by her grandparents at their home in Chai Buri district, police said. Maj Thankorn Meenim of Chai Buri Police Station said when he examined the girl he saw what seemed to be a snake bite on her right forefinger. She appeared to have been dead for at least eight hours, he said. Her grandmother and great grandmother told police they found a cobra in her bed under the blanket. It was later killed by their neighbours. Miss Prapawee’s body was sent to Chai Buri Hospital for an autopsy to confirm the cause of death.